Kick your next salad up a notch with a dollop of Light and Creamy Green Tea Salad Dressing. A lightened up twist on the classic green goddess salad dressing. Here we use fresh basil, parsley, green onions, avocado and a pinch of matcha green tea to get that creamy green goodness that goes oh so well with lots of leafy greens in a simple salad. This Light and Creamy Green Tea Salad Dressing is a gardeners dream! After finally realizing the water wasn’t reaching our basil patch (the reason for it’s abysmal growth, which took us more time than I care to admit to figure out), we now have so much we can’t keep up. It’s a nice problem to have, and the basis for this delicious creamy green salad dressing. Add in some fresh parsley, green onions and lemon juice, or whatever other odds and ends you have in the garden needing to be used up (tarragon, chives etc). With a yogurt base, it’s a bit lighter than the traditional mayonnaise laden salad dressings, but just as flavorful. I also added a little bit of matcha into the dressing to give it a bit of a kick. 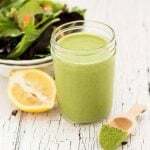 It pairs so well with the other flavors, and offers a nice little antioxidant boost to your salad, and makes the color greener than green, which I just love! I have used a few different matcha blends over the years, and this one is my current favorite. It is made by two young French expats who have been living in Japan. I love the story behind the formation of their company, and I love the care taken in cultivating their product. 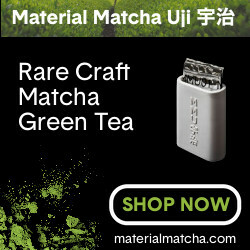 You can check them out here: Buy Rare Matcha Green Tea. Like I said, this recipe is VERY versatile, so make it your own. Use whatever greens you have on hand that need to be used up – I have had a delicious version using cilantro as a base, rather than basil, and it was just delicious on a Mexican themed salad. Kick your next salad up with a dollop of Light and Creamy Green Tea Salad Dressing. A lightened up twist on the classic green goddess salad dressing. Here we use fresh basil, parsley, green onions, avocado and a pinch of matcha green tea to get that creamy green goodness that goes oh so well with lots of leafy greens in a simple salad. Add all ingredients to the bowl of a food processor and blend together until smooth and creamy. 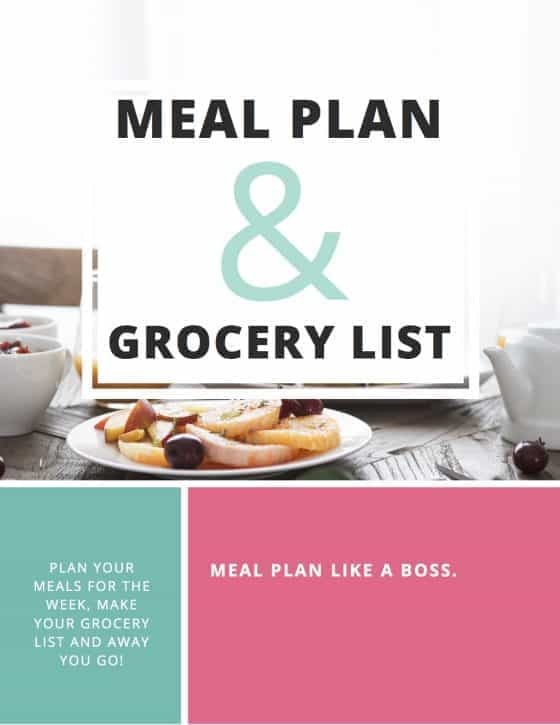 Serve over salad or store in the fridge in an airtight container for up to one week. Green Goddess salad dressing is one of my favorite dressings. I’ve never thought about adding matcha, it sounds interesting! The BEST idea ever! Never thought to make a salad dressing out of Matcha!! Brilliant. Definitely need to try it out! 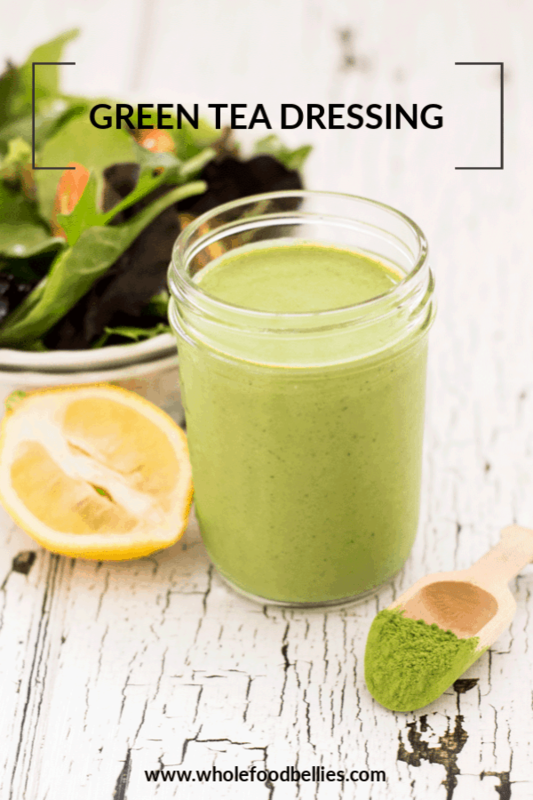 This one looks so good.Nice idea of using matcha to make dressing! This is such a creative idea, I bet it tastes amazing! My husband is obsessed with match and I think he will love this! I’m obsessed with match but never thought about making a dressing, what a great idea! You should try it out, so great! Ooh yum, this sounds delicious!! I love matcha.. and try to add it where ever I can BUT I must say I’ve never added it in my salad dressing. I cannot wait to try this.. Sounds so awesome. I’ve seen matcha used for lots of things but never salad dressing. Sounds yummy. This looks great! I’ve used matcha in lattes and in baking, but never in salad dressing. I’m intrigued and can’t wait to try it! It’s so good! I usually stick to drinks and baking, but it actually goes really well in a dressing! I love salads but get bored using the same dressings all the time. 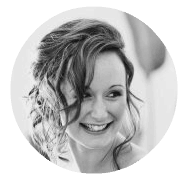 I’d love to switch things up and try this one out. Looks healthy and delicious! This is so good, nice and creamy but not gluggy at all! I like to bake it into a cake! Also having it plain is delish. I love matcha in baking as well, such a nice subtle flavor! I never thought of making a dressing with Matcha tea! I will have to try this recipe, so healthy. Amazing recipe.I love your idea of using matcha as a dressing.Am surely trying this one soon. Oh thank you Aditi 🙂 Hope you enjoy it as much as we do! This looks delicious!! I just love making my own salad dressing – one of those things that I never realized how easy it would be until I tried it. 🙂 Thanks for sharing this matcha version! I love homemade salad dressings! Many of the store bought dressings contain xanthan gum which causes sleep problems so I am always looking for scratch dressings. I need to try yours. Thanks for sharing! You know I still haven’t tried matcha somehow but love the color it gives things. You should give it a go!! It is definitely great for adding a nice green color to baking, if you like to avoid food coloring etc! I have never had matcha before, so I’m not sure what my favorite way to have it is. I’m intrigued by the idea of using it in a dressing.